I love it Katherine! 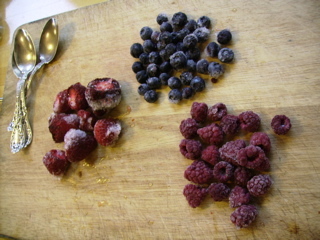 I have been wondering how I am going to use up all of the berries that I froze last year so that my freezer is ready for the next batch. Somehow I forget about them! We love us some Bob’s Red Mill oats in the morning, but hardly ever do it because of the 40 minute wait. Your soaking tip may well change that forever, thanks for the tip! I finally tried this last night/this morning and it’s such a brilliant tip! 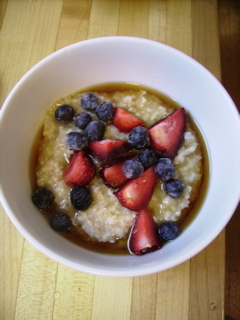 There’s absolutely no substitute for steel cut oats but the cook time has made it a weekend treat until now. Thank you!